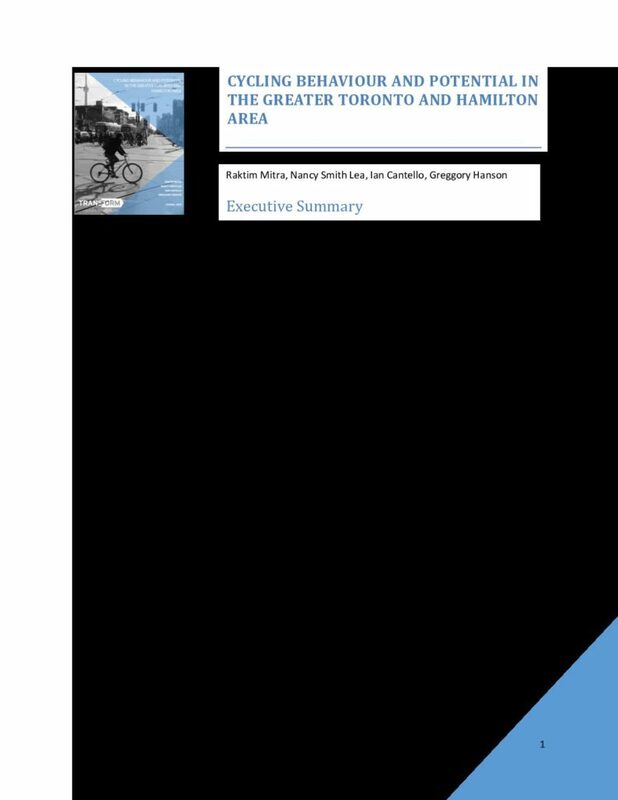 Cycling Behaviour and Potential in the Greater Toronto and Hamilton Area, a report led by Ryerson University in collaboration with TCAT, finds very high potential across the region for shifting over 4 million trips from motor vehicle to bicycle. The findings will inform the next Regional Transportation Plan, and municipal policy and planning practice in the GTHA, in creating cycling-friendly and healthy communities, a goal of both the Regional Transportation Plan for the GTHA, The Big Move, and the Growth Plan for the Greater Golden Horseshoe. 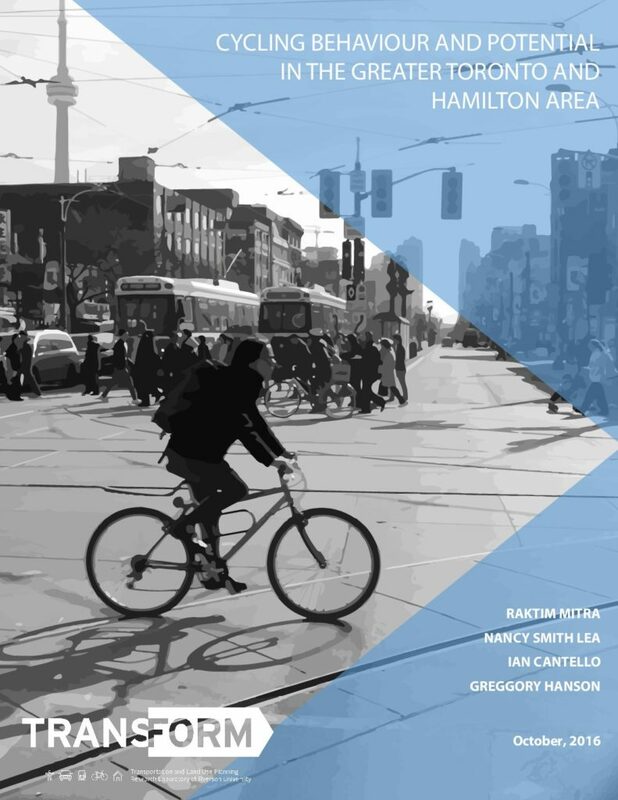 This research, funded by Metrolinx, documents current patterns of cycling in the GTHA, quantifies cycling potential in the region, and identifies areas with high propensity for cycling. GTHA residents take 14 million trips everyday, only 6% of them are currently either walked or cycled. Yet one-third (33%), or 4.35 million trips, can be considered potentially cyclable trips. A potentially cyclable trip was defined as a trip where the primary mode of travel was not walking or cycling, and the trip distance was between 1 and 5 km, a distance that can be easily made by bicycle in under 20 minutes. More than half (53%) of the estimated potentially cyclable trips are short trips, between 1 and 3 kilometres in length. All regional municipalities produce very high volumes of short trips that could potentially be cycled. The potential for cycling was higher among unemployed travellers and among women. Women currently make more trips that can potentially be cycled (54%) compared to men (46%). However, only 30% of current cyclists on GTHA’s roads are female. Currently only 1.1% of school or work-related trips by 11-16 year old youth are cycled. However, the research suggests that at least 27.5% of all trips to school or work by this age group can potentially be cycled. One-fifth (22%) of all trips to/from the GO transit stations (and 4% of all transit access trips) could potentially be cycled. Promoting cycling for these short transit access/egress trips can play a critical role in solving the region’s “last mile/ first mile” problem.